As if breaking the world transfer record for the player they once released on a free (Paul Pogba) wasn’t enough, Manchester United are interested in doing it again – but for Barcelona superstar Luis Suarez. That’s according to Spanish outlet Don Balon, who in fairness, are known four spouting occasional tripe. The story made the BBC Sport gossip column and has naturally got fans of United and Liverpool talking. But don’t worry. There’s absolutely nothing to worry about. 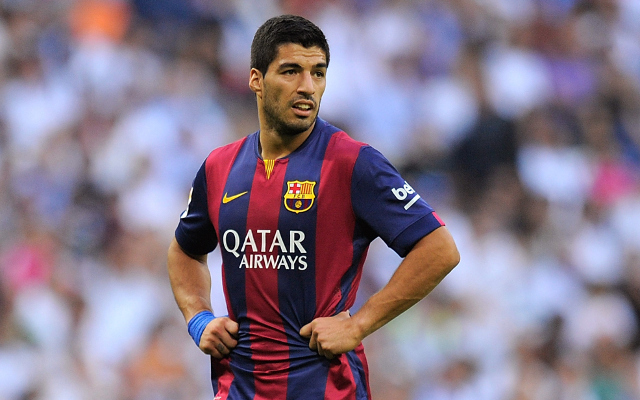 Firstly, Suarez wouldn’t leave Barcelona for any club in the world right now. He worked tirelessly in Holland and England to force a move to Los Cules, complaining about life in in the Premier League and the media treatment he suffered constantly. While he was magnificent at Liverpool, he was never completely content, despite the fans’ adulation. Right now, he’s arguably the best forward in world football and Barca wouldn’t consider breaking up their current forward triumvirate for any money going. Lastly, Suarez is nearing 30. Surely no club can break the £90m barrier for a player in the twilight period of his career? United fans hated Suarez during his time at Liverpool and we cannot imagine the Uruguayan would have any reason to swap sunny Spain for gloomy Manchester. There’s so many reasons why this isn’t going to happen, we’re baffled it was printed in the first place.